My Website was Hacked, Now What? My Website was Hacked, Now What? My Website was Hacked, Now What? Has your website been acting funny? Are strange ads or warnings popping up? Can you access the admin section? Is your site just a blank white page? If these symptoms sound familiar, your website has likely been hacked. We’ve all heard about how websites get hacked and as a website owner it’s on you to ensure the necessary deterrent measures are in place. But too often those measures consist of “keeping our fingers crossed.” Unfortunately, that isn’t something which scares hackers away and you can never rule out the possibility of a hack sometime in the future. Just ask Target, the U.S. Government, JP Morgan, The Home Depot, or Playstation. A defaced homepage or site- You find that your site has been completely altered. You might even find a message from the hacker. At times, the administrators of the site receive an email from the person who hacked your site. That email has information that wouldn’t be accessible to someone who hadn’t hacked the site. Unable to login to the admin areas- Even when you are using the right login, you are unable to login to the administrative sections of the site. This could indicate that your login credentials have been compromised. Warning messages- The local machine’s browser or antivirus software sends warning messages of malware or viruses from your site. Notification from a search engine- You receive a notification from a search engine like Google that your website might have been compromised. At times, the search results of your site display the incorrect information; you may even see product ads that don’t belong to your company. Once the situation is assessed and you are sure your site has been hacked, what is the next step to take? Remove all the current content & delete everything that exists in your root folder; this ensures that all the malicious material is removed. All the scheduled administrative and automatic system maintenance tasks (cron jobs) should be deleted. Generally, these are situated in the web hosting control panel of your system. Conduct a thorough check on the databases- this will help you ascertain whether they’ve been compromised. In case you do find indications of this, simply restore a clean backup even before you use them again. You would have to then upload a new copy of the website; this can be done either from a cleaned up copy of the current content or through a clean backup. All the scripts required for your website would have to be updated, reinstalled and reconfigured. You would have to ensure they are all connected to the correct databases. Don’t forget to delete all the installation files that existed while the scripts were being installed! Note- We reiterate that full recovery procedures are best handled by professionals. Keep in mind that security is always more about reducing risk; you can never be certain that the risk has been eliminated. All these solutions are merely temporary fixes and there is no simple way to figure out how or why the hackers were able to access your website in the first place. 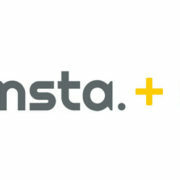 It makes your site vulnerable to further phishing and malware attacks. In case your site has been hacked, search engines will not punish you for having your site temporarily down – it will not impact your website ranking. However, if you do continue operating a hacked domain, chances are Google may block it completely. Users will question your site if it throws an alarming malware alert when they visit, and it impacts the reputation of your business. If you aren’t sure about how the site should be taken completely offline, contact your host webmaster for assistance. They may be able to help you get things back on track. While it’s important to react and find a fix quickly when your site’s been hacked, it’s even more important to remember that treating the symptoms may not fix the root problem. That’s the only way to ensure the fix is 100% resolved. One easy way is by building an entirely new website from the ground up. Contact your website designer and work on building a new website. This is also an opportunity to alter the features you felt needed changing; include the system upgrades you want and set ironclad firewalls in place to prevent future attacks from hackers. 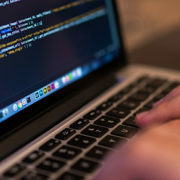 If you need help with fixing your hacked website, please contact us for a free consultation or check out the range of services we have to offer. https://onestopsiteshop.com/wp-content/uploads/2016/03/chrome-malware-screen.jpg 292 670 Kyle Haas https://onestopsiteshop.com/wp-content/uploads/2015/09/WebLogo.png Kyle Haas2016-03-14 12:41:472016-11-06 12:02:33My Website was Hacked, Now What? 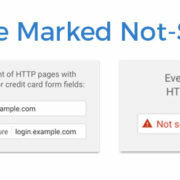 Is Your Website Marked Not-Secure? 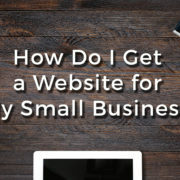 How Do I Get a Website for My Small Business? Website need a little work? Schedule an ideas session with our design team and proudly share your new website with clients and customers.